We start by soaking these turkey tenders in beer for a solid 4 hours. 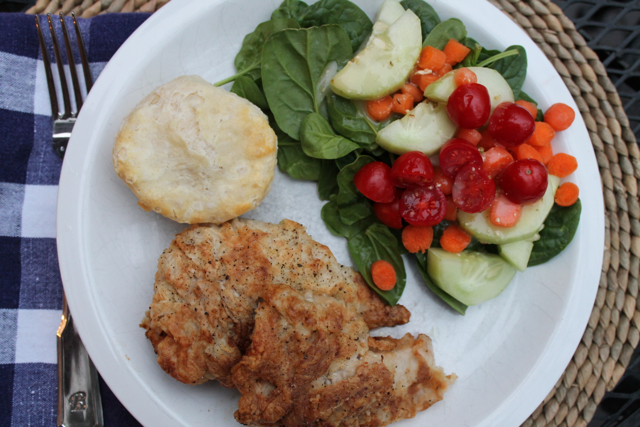 Once soaked, patted dry and dredged in an egg wash, we coat them in flour + seasonings and fry them up! Nothing fancy – but plenty good! If you are unable to use your turkey fresh, we recommend soaking it in salt water in the refrigerator for a day before freezing. 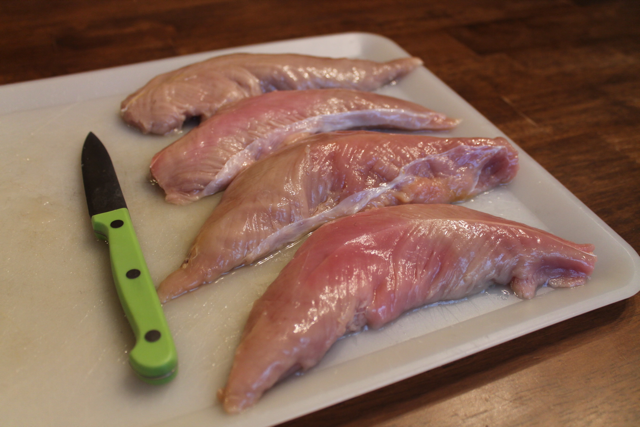 What to do: Marinate turkey tenders in beer for 4 hours, then remove tenders and pat dry. Next, place tenders in egg wash and then coat in a mixture of flour, salt and pepper. 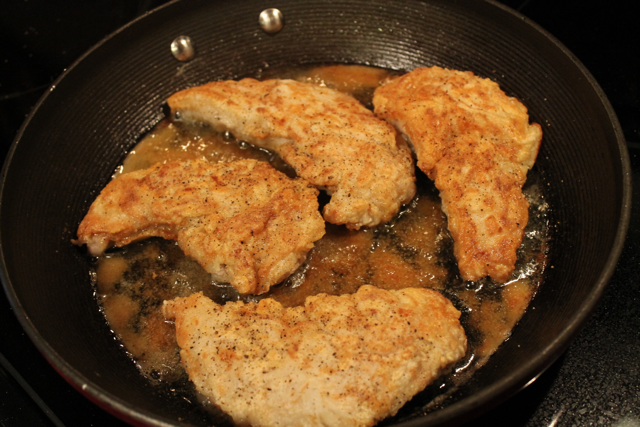 Place coated tenders in a pre-heated skillet with oil. Make sure oil is hot, but not yet smoking. Cook until golden brown on both sides and ensure that meat is cooked all the way through. 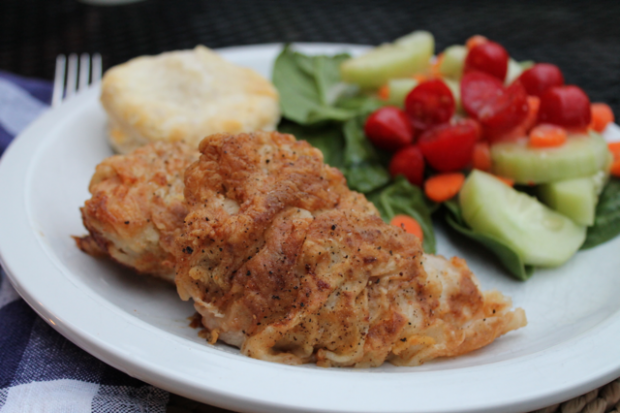 Tip: You can kick this recipe up a notch by adding some sausage gravy! This recipe can be used for any part of the turkey. We typically slice the turkey breast into serving size pieces and follow the same instructions.